Qualtrics, the leader in experience management, has been selected as a finalist for Fast Company’s World Changing Ideas Awards for its groundbreaking campaign to accelerate funding for cancer research, 5 For The Fight. The award honors businesses, policies, projects and concepts that offer innovative solutions to the issues facing humanity. Qualtrics introduced the power of crowdfunding to cancer research on a global scale with the 5 For The Fight campaign, making it easier and more effective for individuals to contribute to creating a cure than ever before. The campaign gets its name because it invites everyone to donate $5 to the fight against cancer in honor of someone who has been touched by the disease. Donors write the name of their loved one on their hand and share on social media using the hashtag #5ForTheFight. One hundred percent of every donation goes to cancer research. 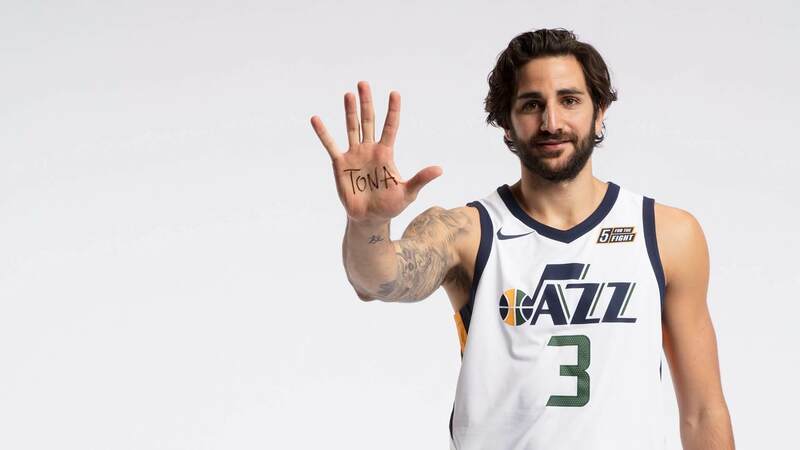 Utah Jazz Point Guard, Ricky Rubio, has led the way as the organization’s first ambassador. In addition, Qualtrics established a first-of-its-kind partnership among North American professional sports teams by placing the campaign’s logo on the jersey of the NBA’s Utah Jazz. Beginning with the 2017-2018 season, the NBA announced a major shift to its policy regarding players’ jerseys, allowing each team to have a sponsored patch on its jerseys. Teams began debuting their patches in early 2017. Qualtrics sponsored the jersey patch for the Utah Jazz, but instead of putting its logo on the jersey, the company donated the patch to 5 For The Fight to help accelerate the pace of crowdfunding for cancer research. At the time of the sponsorship announcement, Qualtrics announced a goal to raise $50 million for cancer. Since then, Utah Jazz Point Guard, Ricky Rubio, has led the way as the organization’s first ambassador. Qualtrics has been committed to cancer research from its beginning when one of its founders was diagnosed with cancer. Thankfully, he recovered and the company’s support of cancer research has continued to grow as the company has grown.